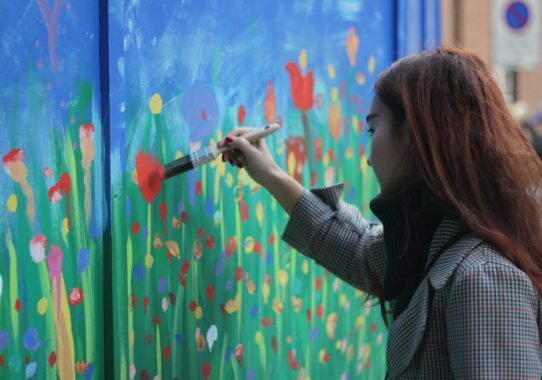 As part of the global Let’s Colour community projects, the members of the public were invited to help a creative team of artists transform a prominent space in Central London into a living masterpiece. 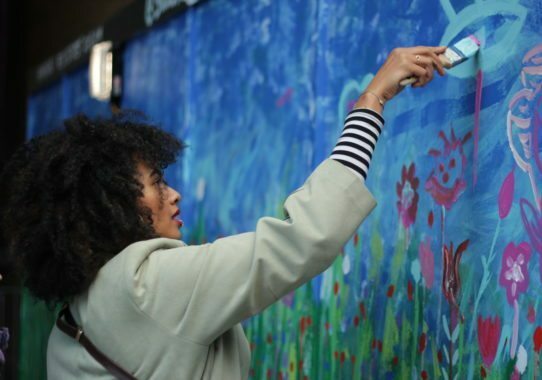 Wishing to celebrate the harmony and diversity of London, AkzoNobel, with its UK brand Dulux and MasterPeace, brought together a group of artists in order to create a collaborative mural design. To remind, Let’s Colour Walls of Connection is part of our transforming communities mission. London’s Bankside in the London Borough of Southwark near London Bridge and Borough Market boasts a new colorful wall. The location witnessed terrorist attacks earlier this year, thus it bears a special significance for the residents in their attempt to overcome the trauma and the pain. This was enough for us to decide to realize our next community project here. The area of Southwark is an extremely diverse and liveable spot in London. It forms one of the oldest parts of London and fronts the River Thames to the north as well as part of the South Bank with some of the world’s most famous attractions that draw thousands, if not millions, of people to London every year as it is the home to London Bridge, Tate Modern, Shakespeare&Globe Theatre and Borough Market. Let’s Colour Walls of Connection aimed for the design to connect people through the painting following the recent events. The design was led by the prominent artist Siddiqa Juma who is famous for her collaborative art projects. 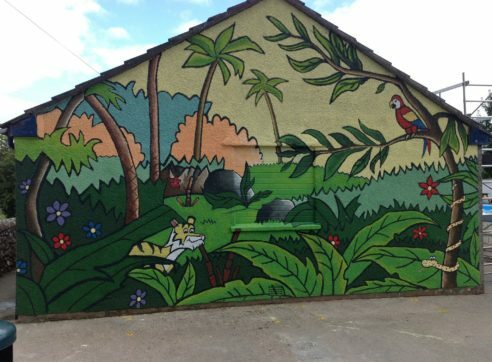 The mural painting is the biggest of its kind, measuring 45 by 10 feet in size, with the local community and passers-by joining in the creative process. Everyone had the opportunity to express their ideas for this colorful community project. The mural depicts an English meadow – beautiful, lush and green – interspersed with an array of flowers, symbolizing the diverse British society, united, beautiful and strong – even in the face of adversity. The public participated in the creation of the design, painting one big collaborative mural, one brush stroke at a time. London has welcomed people from various backgrounds, thus raising and nurturing its own versatile society. 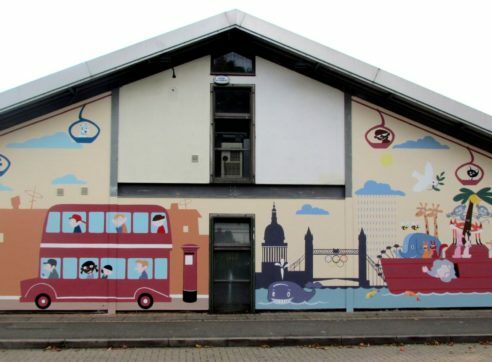 The mural celebrates the diversity, the numerous sub-communities referring to London as their home, and together turning it into a welcoming shelter for everyone. The wall is located in the historical Southwark area in the heart of London, visited by thousands of tourists on a daily basis and almost 2 million a year. 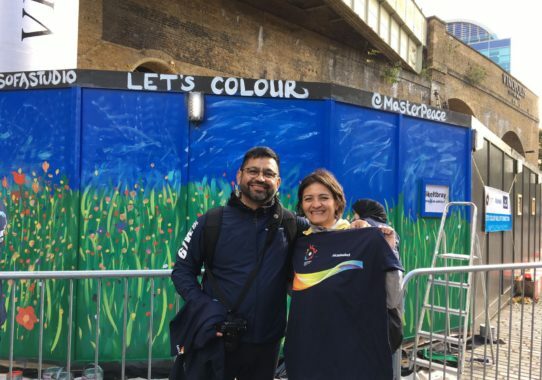 The three-day Let’s Colour Walls of Connection event attracted many artists, guests, volunteers, as well as tourists and locals, turning it into a place for people to bring friends and take pictures, making a nice memory of their London visit. The place also attracts many students visiting the area as part of their school field trips. 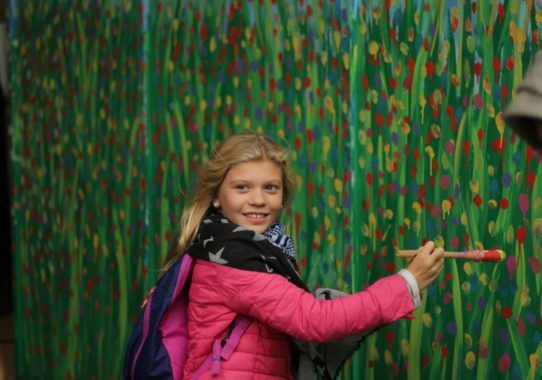 Young students from a local school also joined in, as well as a group of Amsterdam students on their visit to London, who joined the event and took the brush. 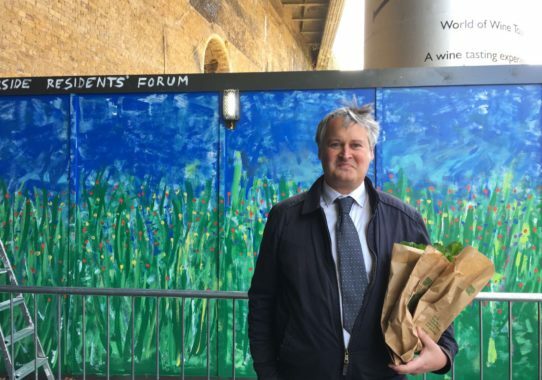 Andrew Nunn, the dean of Southwark Cathedral, the London’s 1000-year-old church and first Gothic Church of the UK joined the biggest interactive mural, sending the message of peace and unity. 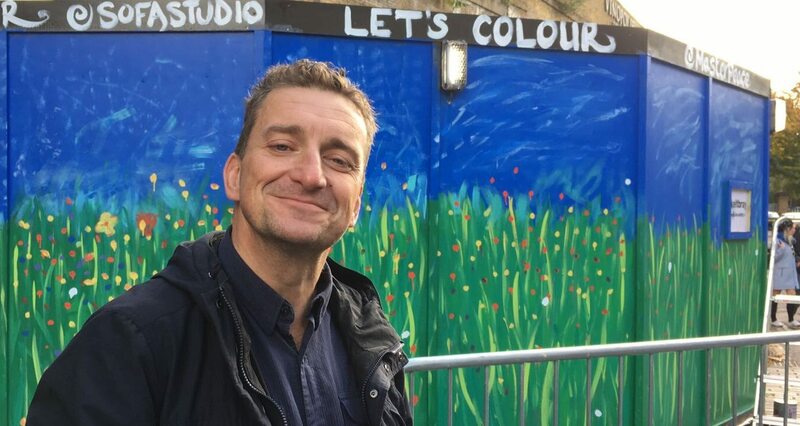 Neil Constable, the CEO of The Globe, also joined Let’s Colour Walls of Connection, adding his mark. 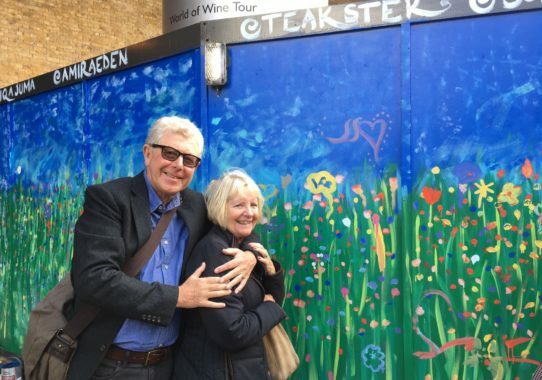 The mural is now part of the tourists’ route and their must-see list in London! The mural celebrates the diversity of the London society, depicting the way in which different nations, through joint efforts, have come to establish a strong, unified community, respecting each others’ colors, shades and nuances. Everyone owns the mural as they come and draw on it, thus turning it into a message sent from one community to another in order to remind everyone that they live, dream and work together. “Southwark is an extremely diverse and liveable spot in London and forms one of the oldest parts of the city. It’s also home to a very diverse group of people. What struck me about being involved with Walls of Connection was the simplicity of the process, yet the complexity of its meaning. It is an accessible way that everyone can join in, so anyone could just pick up a paint brush and express their values and creativity.  This is not the first time that Dulux and Let’s Colour had the chance to carry out projects to help the community in the United Kingdom. 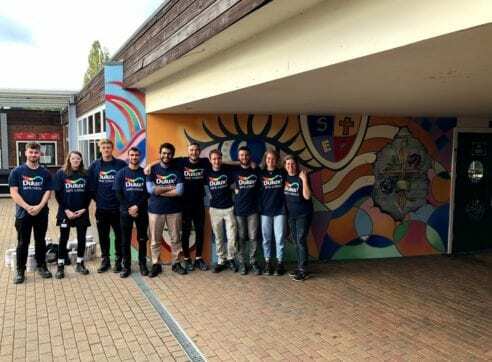 In past years we have realized several social project ideas and initiatives across the country: we have added colors to the community centers across the UK, renewed over 100 grey community spaces and regenerated the UK’s biggest ever paint-by-numbers. If you are interested in other transformations and colorful events we have organized across the globe, take a look at the whole list of community projects and learn more about each of our transforming communities actions! Find out more about Dulux in the UK.